Nearly everyone who understands work zone ITS knows it is a cost-effective way of mitigating the traffic impacts of major and sometimes even minor road construction projects. Studies have proven the value of these systems. But DOTs will often tell you they don’t have the funding to pay for it. The FHWA encourages states to use work zone ITS. They will pay for these systems through conventional construction funding. So, when states say they don’t have the funding they mean they haven’t found a pot of money outside of the money they use for asphalt and concrete. FHWA wants to address that problem. They have just published the “Alternative Funding for Work Zone ITS Fact Sheet”. In it they document how Illinois uses HSIP funds to pay for Work Zone ITS. Download a copy of the fact sheet HERE. The state only pays when the system is needed. They work directly with the vendor and that greatly improves communication. Staff has direct access to the system data and to make changes. By bidding for each district local companies are more likely to win, thus reducing response time. This fact sheet is a BIG deal! States are always saying they don’t have the funding. This is one way of getting it. And the Feds aren’t just allowing this. They are encouraging states to use HSIP funds for work zone ITS. States do need to identify work zone safety as a SHSP Focus Area and provide the data to support that decision. According to the National Work Zone Safety Information Clearinghouse, there were 799 fatalities in US work zones in 2017, up from the previous three-year average of 764. That’s not much when compared to the total roadway fatalities of 37,133. But work zones are always a safety issue. States can and should include them in their Strategic Highway Safety Plans (SHSP) for a variety of reasons. Work zones force drivers to process more information and react faster than they normally do outside of work zones. That’s why crashes attributable to distracted driving, speeding, aggressive driving, and impaired driving often show up first in work zones. Furthermore, solutions that work in work zones may have applications elsewhere. In 2017 overall fatalities declined nationally while work zone fatalities increased. Any state with this same disparity should include work zones in the SHSP. Many states have recently increased funding for road construction. They, too, will unfortunately see an associated increase in work zone fatalities. And, again, they to should include work zones in their SHSPs. This is a wonderful tool. Thank you to Todd Peterson and Jawad Paracha for putting it together. Now we all just need to get his in front of the decision makers in our states! A webinar was held December 5th on work zone crash data collection and analysis. It was organized by Wayne State University and included speakers from the University of Missouri and Michigan State University. A recording of the webinar will be made available soon. As a work zone ITS practitioner, I have deployed many systems over the years but have very little data to prove the effectiveness of those deployments. The problem has always been establishing a base line of the probable number of crashes given the traffic control, project duration, traffic volumes, etc. Only with that base line can we compare our actual crash numbers to determine whether the system was cost-effective. The webinar pointed to several states’ best practices in this regard. At a minimum, states are required to include a checkbox on their form to indicate if the crash was work zone related. But states including Connecticut, Iowa, Minnesota, Pennsylvania and Virginia collect much more. They go into detail about the location of the crash within the work zone, and what types of traffic control and construction activity was in place at the time of that crash. That data will help them develop Crash Modification Factors (CFMs) for different traffic control treatments. In time we hope to see CFMs for queue warning systems, dynamic merge systems, variable speed limit systems, and much more. Those CFMs could be specific to high volume multi-lane facilities, rural four lane highways, etc. Once CFMs are developed, the rest of the process is fairly simple. Compare the CFM associated with your proposed system to the traffic volumes where that system will be used, and you will know immediately whether the use of that system is justified. The use of these systems is already taking off, but there is still some guess work involved in the decision to use or not use work zone ITS. By developing CFMs we could speed that process along and make it more scientific. The webinar that followed may not have answered his concerns completely, but it did offer several innovative options that should work in most situations. Todd Peterson of FHWA began by giving an overview of procurement methods and explained that the best option depends on the type of work zone ITS you plan to use. Jerry Ullman of Texas Transportation Institute (TTI) ran through the different contracting methods that three states (Massachusetts, Texas and Iowa) have used and shared some lessons learned. Finally, Matthew Daeda of Illinois DOT went into detail on his state’s approach and that’s what we will talk about today. Illinois uses a two level approach to procurement of work zone ITS. For larger contracts and longer term projects they try to identify the need as early in the process as possible. This is usually accomplished as a lump sum line item in the bid documents. Details regarding the types and quantities of devices are included in the special provisions. When they know they will have serious traffic impacts, they include WZITS and other mitigation strategies in the bid documents. They will also add WZITS under change order when impacts are greater than expected. Again this is done with the same language they use when it is included in the bid. But for smaller projects and short duration traffic impacts, they are now using an on-call contract. Each district advertises a bid for this on-call service. Districts 1, 8 and 9 already have three year contracts in place. Districts 2, 3 and 5 have or will soon have contracts in place. Districts 4, 6 and 7 will follow suit very soon. 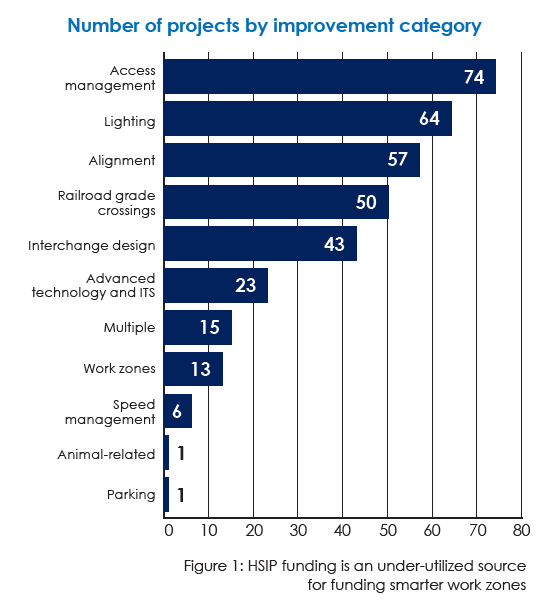 The on-call work zone ITS is paid for using HSIP funding. These on-call contracts are intended to provide queue warning for projects with a duration of two weeks or less. In District 1 (Chicago) and 8 (St Louis) the vendor supplies 4 changeable message signs and 4 sensors. In more rural District 9 the vendor supplies 1 changeable message sign and 4 sensors. Each district adjusts the quantities to fit the needs of that district. District 9 includes rates for monthly rentals. Districts 1 and 8 only include daily and weekly rates. Mr. Daeda offered several lessons learned. He said that one vendor installed software in their TMC that did not work well with their firewall. In the future he would like to require vendors to install and test any software before getting a notice to proceed. He would like a pay item for supplemental devices. Then he could add more sensors or message signs when they are needed. When deployments run over a month, they currently pay for a month at the monthly rate and for additional days beyond that at higher daily and weekly rates. Mr. Daeda wants to change that going forward to be at a percentage of the monthly rate once the system has been out for more than a month. Matthew plans to clarify language regarding relocation of devices. And there have been times when he wished he could add camera trailers. In our last blog post, “The State of the Work Zone ITS Industry”, we talked about the many ways in which 2015 was a landmark year. This webinar is a perfect example of that. These EDC events just keep getting better. The speakers were all on topic and very professional. The webinar service worked without interruption. And the attendees asked great questions. If you haven’t watched them yet, you are missing out on a great experience! We just got back from ATSSA’s annual Traffic Expo held this year in New Orleans. The focus of this show, more than ever before, was innovation. There was a lot of talk about automated and autonomous vehicles. And there were two great workshops on work zone ITS. In particular, I moderated a session Monday morning entitled, “Jump Start Work Zone Intelligent Transportation Systems in Your State”. It was very well attended, 15 state DOTs were represented along with several local agencies and contractors. The material presented was fresh, and a very lively discussion followed afterward. The workshop looked at new and innovative ways states are contracting for work zone ITS in general and queue warning systems in particular. Jerry Ullman of TTI led off by talking about the Texas model for contracting for these systems directly with the system providers and outside of the normal project contracting process. Steve Kite of North Carolina DOT talked about his state’s plan for doing the same thing through something similar to a professional services contract. Keith Roberts of Illinois DOT described what they have done to bid an on-demand contract in his district. They tried doing it in a couple of different but similar ways in two districts. It has been so successful that Illinois is now going state wide. Priscilla Tobias, the Illinois State Safety Engineer, has approved bidding on-demand queue warning systems for all 9 Illinois DOT districts. The bid includes rental rates for sensors and portable changeable message signs by the day, week and month. This on-demand contract is intended to supply queue warning for projects where the traffic impacts are short term, or unexpected. It could also be used for major incidents. Large projects requiring queue warning already include these systems as a line item and won’t normally use the on-demand rentals. The obvious advantage to this method is you only pay for the system when you need it. There is never a need to justify use of a queue warning system until the queues develop. And then you order the number of devices you need to address the problem. It really is a more economical use of funding. Another less obvious advantage is the agency works directly with the system supplier. Communication is faster and more seamless. DOTs learn the system capabilities faster and more completely and make better use of them as a result. Many other states are now going forward with their own on-demand contracts including Indiana, North Carolina, and Michigan. And given the number of states that attended this session, don’t be surprised if several more join them very soon. On-demand queue warning has revolutionized work zone ITS. It makes it available when and where it is needed, not just on large projects where traffic impacts are anticipated. We all owe a large debt of gratitude to Jerry Ullman of the Texas Transportation Institute for pioneering this method and to Priscilla Tobias and Keith Roberts of Illinois DOT for perfecting it. If you would like to learn more you can begin by downloading the Illinois District 9 specification Illinois spec. Contracting methods for work zone ITS have seen some very interesting developments over the past year or so. Several states have chosen to bid this work outside of the project contracting process. Each has its own set of advantages. Today we will discuss those and, I hope, give you some ideas for your own state. We are just talking queue warning systems at this point. All of these states began there, which makes sense. 26% of all work zone fatalities are as a result of end of queue crashes. But there is no reason we can’t specify other systems such as dynamic merge or travel time or trucks entering with a similar approach. Since these systems share most components in common, this will drive the cost down even further. Let’s begin with what these state processes have in common. All of them contract work zone ITS outside of the normal project bid process. The systems are not line items in a larger job. Instead, the state DOT has a contract (or contracts) directly with local traffic control companies to supply, install, maintain and remove work zone ITS systems or components. Think of it as an A&E contract. So far these contracts are all for some combination of traffic sensors and changeable message signs. In most cases they also include the central control software and data archiving. The winning contractor must supply and install equipment as needed, usually within a few hours. • Immediate availability of portable ITS assets and data. • Ability to use these systems when and where they are needed, even for incident response or special events. • Traffic operations department knows where they expect problems and assigns assets as needed. • When systems aren’t needed, it costs the state nothing. • When needed, these are reimbursable under the Highway Safety Improvement Program at 90%. 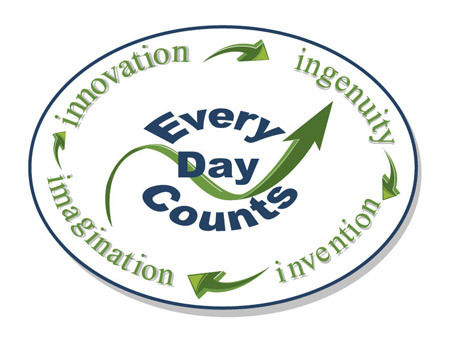 • There are no minimums so contractors are motivated to respond quickly so as to earn more work. • Construction and design folks need not learn about work zone ITS. The first to do this was Texas. They had several major projects planned for the I-35 corridor and asked the Texas Transportation Institute to find ways to prevent rear-end crashes in what they knew would be frequent stop and go traffic. Because they were the first state to try this and bidders had no way of knowing what would happen, the state purchased the equipment and local traffic control contractors bid the work of installing, removing and maintaining the equipment. Each day TTI looks at planned lane closures, estimates the queue lengths, then calls the contractor and tells them which systems are needed and where. They call out either a type 1 or type 2. A type 1 is 4 sensors and 1 changeable message sign. A type 2 is 8 sensors and 2 CMS. Advantages: TxDOT pays only for the labor to deploy and maintain the equipment. This method is easier for contractors to bid. They know their labor costs, etc. Whereas work zone ITS system costs are new to most and may be bid on the high side to cover unforeseen expenses. For this model, the state contracts with a single equipment rental company to supply, deploy and maintain microwave sensor trailers. The sensors are integrated into the states permanent sensor network. They are used for systems operations functions as well as project specific systems such as queue warning. Advantages: Seamless integration with permanent assets. Sensors can be quickly relocated as conditions change. Wavetronix sensors provide far more detailed data including lane by lane counts, classifications and volumes. However, they are significantly more expensive than doplar radar. Illinois provided the most recent approach to this process. They chose to bid sensors and message signs by the day, week and month delivered within a district. It includes the central controller software and data archiving. Advantages: This gives local contractors an advantage which will reduce response times to the state. The state only pays when they order devices. There are no minimum orders. This motivates the contractor to perform well in hopes of getting more work. In recent weeks several other states are adopting these methods including Indiana, Michigan and Oregon. All three approaches are working well in the states where they are used. The best one for your state will depend on your needs and the underlying contracting regulations you must work within. Good specification writing is important. You must describe exactly what outputs are required: how system should operate, data access and storage, response times for delivery and set-up, response times for maintenance, repair or damage, etc. Be sure to list the required number and type of each device that the contractor must have in stock and ready to deploy. You should also consider some sort of prequalification process. It should give a score for financial stability, years in business, and experience with work zone ITS deployments. Prior experience should also be considered for future contracts – both positive and negative. Keep it simple. You may want to include portable cameras. Or you may want to include separate numbers of microwave and doplar sensors. But don’t get into other devices you aren’t likely to need. The contractor will know these are unlikely to be used much and so will have to bid high to cover their fixed costs. This new approach makes using work zone ITS far easier to do. It probably saves money as well. It can jump start the use of these systems in your state, so pick the model that fits you best and get started! This is the second half of my presentation to the National Rural ITS conference earlier this month. Due to the length of my presentation is it much longer than my regular posts. So I apologize in advance but hope you enjoy it. 1) Choose sensors that meet your needs. Side fire radars like Wavetronix are great if you need lane by lane speeds and volumes. But most of the time speeds alone will tell you what you need to know, in which case standard k-band radar will work just fine. And those cost thousands less. So from a budget standpoint a lower cost per unit could mean many more sensors and much finer data resolution. 2) Simple is also better when the work is staged or moving. Side fire sensors must be moved and re-calibrated by a qualified technician. My people know how to do that for you, but it means another trip to the jobsite and another invoice for our time. K-band is more forgiving and often can be relocated by laborers on the job. 3) For queue warning or dynamic merge always place the sensor farthest up stream well beyond the point at which you expect queuing to extend. That is your emergency sensor. If it trips, you will know it’s time to move your construction area signs and message signs farther out from the job. 4) Frequency of polling. The server where the system software resides and where the data is stored, calls each device on a regular schedule and that is called polling. For travel or delay time systems, you want to smooth the data and more data points give you a more accurate picture. So you should poll every 5 minutes or so. For critical warning systems like queue warning or dynamic merge, most systems trip as soon as the average speed drops below the trigger level, then run until they have been above that level for a few minutes. But if that’s not how your system works, you should poll a minimum of every 2 minutes. The best metrics for work zone ITS will still vary with the agency, by location, by road classification, and by the type of construction activity. There will even be times when surprises on the job will force you to adapt and take what you can get. So you need to remain flexible as best you can. Try to build a system that can accommodate different types of data, different formats, and incomplete data. As you build up a history, this will still allow you to draw conclusions, even when you get less than perfect data from each project. Talk to your vendors. Ask them to export the data in a format that fits what you are already doing. Then it is a simple process of copying and pasting it to your data base. Most are more than happy to work with you in that way. Begin comparing data from similar projects. Do this early and often. Even if you only have two similar projects, there will be lessons to be learned by comparing them. Look for trends and outliers. What worked in terms of staging, of traffic control, and for the work zone ITS system itself? What did not work? What did you wish the system provided that it did not? What data do you find you use most? Once you do this you will have a much better understanding of the value of these work zone ITS systems. In many ways, this is data we have not had before. We know it is valuable, but because it is new to us, we have not yet learned all of the ways in which we can use it. The standard reports provided by your vendor are often helpful. But only when you examine the data yourself will you truly see the possibilities. As you gather more and more data from different projects, you will learn things about your traffic control, too. You might learn how best to stage certain types of construction or how to better design your work zones. Your work zones will become safer as a result. I hope I have convinced you to make better use of your work zone ITS data. But what about states where work zone ITS is not standard practice? You can’t analyze data you don’t have. You have to use these systems first. What can you do about that? Many states don’t want to go through the process of developing specifications and contract language, especially since they aren’t yet experienced with these systems. It’s a chicken and egg sort of problem. You don’t include work zone ITS because you don’t fully understand it, but you will never understand it, until you have deployed a few systems. We have that problem in my area. Both California and Oregon have written a high level, generic automated work zone information system spec in the hopes of seeing these systems used more often. The idea was for project design folks to then specify the type and quantity of devices for each project. But it hasn’t worked. In fact, neither state has let a single project with work zone ITS as a line item. I’ve learned that construction design doesn’t know about work zone ITS so they aren’t able to fill in the details. They don’t know how many sensors are needed or how far apart to space them. They have never been through the scenario process where you decide that if traffic slows at this location, change these two message boards to warn of slow traffic ahead. When you think about it, it’s really not surprising that this approach has not worked. The answer to this problem is individual system specifications: one for queue warning, another for travel time systems, dynamic merge, trucks entering/ exiting, etc. They include the types of devices needed and often include the quantities as well. Each is ready to plug into project special provisions. The design team doesn’t need to know how they work. All they need to know is that they expect a problem, such as dynamic queuing, so a queue warning system should be included. Speaking of queue warning systems, that is the first specification you should create. 26% of all work zone fatalities are a result of end of queue crashes. And as we will soon discuss, queue warning systems are a proven countermeasure. Best of all, the states of Texas and Illinois have already done the work for you. Texas Transportation Institute created a simple, easy to use contracting method and Illinois has adopted it and improved on it. Several other states are now following their examples. In both cases the states let a separate contract by district for a daily, weekly and monthly rate to supply queue warning systems. Texas breaks it down to two different packages: a smaller one and a larger one. The smaller system includes 4 sensors and 1 portable changeable message sign. The larger system includes 8 sensors and 2 message signs. TTI looks at volumes and planned lane closures and then calls out the appropriate system for each night’s work. Illinois breaks it down further. They have separate line items for sensors and for message signs by day, week and month. They then call out the quantity of each device they will need to handle the expected queue lengths. In both states the ITS work is not tied to a specific project. Rather, it is separate so they could use these systems on two projects one day, and three other projects the following day. It is not tied to construction, so they can also use them for incident response or special events. There are no minimums so the states decide when and where the systems are needed. It also motivates the contractor to do a great job so the state will call them out more often. Texas Transportation Institute has been doing this for a couple of years now. They just released a study in partnership with FHWA focused on queue warning systems. TTI reported that at the time the report was prepared, the system had been deployed on over 200 nighttime lane closures in the I-35 corridor. They compared the crash experiences at lane closures where queues were expected but no system was used to lane closures where the system was deployed. Although the study is not complete, the data suggest that the systems are being very effective. Crashes on nights where lane closures are deployed with an end-of-queue warning system are 45 percent lower than they would have been if the systems had not been deployed. 45 percent! TTI estimated that the systems saved between $1.4 million and $1.8 million in societal crash costs so far, and continue to be used as needed on the projects, further increasing their return on investment. Stated another way, it appears that the system reduces expected crash costs between $6,600 and $10,000 every night it is deployed! None of the old excuses hold water now. The systems are proven not just effective, but phenomenally effective. And, the Texas/Illinois model for contracting this work is approved by FHWA and is reimbursable under HSIP at 90%. So there is no reason to hold back now. Get these systems going in your state. Collect the data. Archive it. And then begin reaping the many new lessons learned from that wealth of data. Once you have done that for a year or two, please come back here and share what you have learned with the rest of us. The Federal Highway Administration has created a wealth of resources for anyone considering the use of work zone ITS. 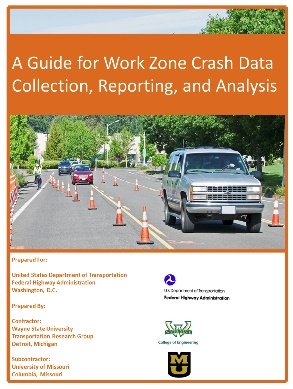 One of the very best is the Work Zone ITS Implementation Guide published in January of last year (FHWA-HOP-14-008). This great guide helps those considering work zone ITS for the first time, seasoned veterans, and everyone in between. One of my favorite features is the assessment chart found on page 25. I was reminded of this great tool during a workshop at ATSSA’s Traffic Expo this past February. The speaker, and I wish I could remember who it was, said he uses it every time he is unsure whether the use of a system is justified. It considers 5 factors with a simple scoring system. Let’s go through it now. It is much easier to deploy a system quickly than it once was so I am not sure this is truly a factor any more. But certainly longer projects are easier to justify than shorter ones. Factor 2 – Impact to traffic, businesses, destinations, etc. You really can’t argue with this one. The value ranges for this factor are going to vary with the agency using them. For some a one mile queue is no big deal, while for others it is a crisis. More importantly you need to score predictable but dynamic queuing higher as it is more likely to result in end of queue crashes. Other factors like sight distance issues (covered below) should also be considered. This could be the “phone call” predictor. Projects that will result in many very unhappy members of the public certainly justify the use of additional tools like work zone ITS. It shows that you care and are working to mitigate the impacts as best you can. These are all important, and it is easy to imagine a situation where a combination of these alone justifies use of a system. Next to last is data collection for performance measures. This is the most cost-effective way of accomplishing that, and it is required. So I would suggest adding another 5 points or so automatically for data collection. Once you have scored each factor, you add them up. 30 points or more means you will see significant benefit/ cost ratio from use of a system. 10 to 30 points means it may provide some benefits and should be considered to mitigate impacts. Less than 10 points means it may not provide enough benefit to justify the cost. This is simple, easy to use, and should help agencies justify the use of systems where applicable. You may download a copy of the chart by clicking WZITSscore. Please consider sending this to everyone who needs it.